Home Inspections For Wisconsin | Affordable, Reliable, State-Certified - Call now! Welcome To Wisconsin Home Inspectors! 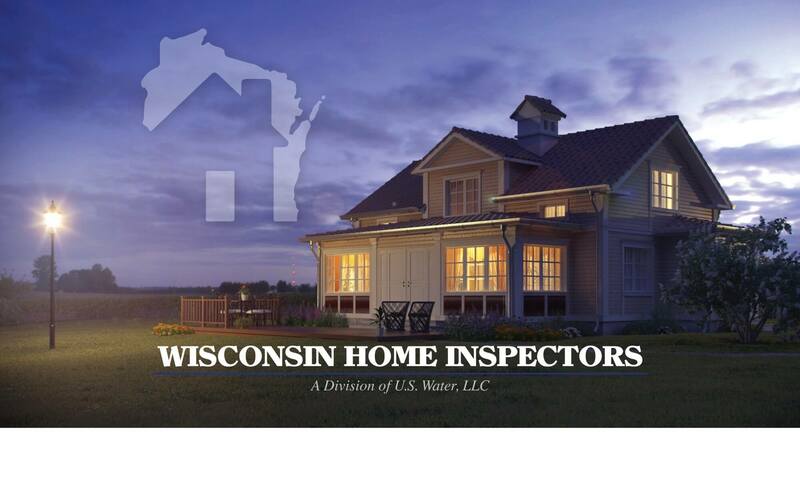 Wisconsin Home Inspectors provides detailed, affordable home inspections to homeowners & real estate agents/realtors, so that you can have a smooth buying & selling experience. We’re a division of U.S. Water, LLC. Our company is a family business, proudly serving the majority of Central, Northern, Eastern, and Western Wisconsin since 2000. We deliver thorough home inspections and have an outstanding reputation for service. Give us a call at (800) 932-2216 today to speak directly to our expert team. If you’d rather request an inspection online, click here! It’s ideal that all buyers and sellers obtain professional home inspections for their protection and peace of mind. We will ensure that your home is safe and, also, structurally and mechanically sound. Our inspectors will provide an objective and detailed report. We work hard to identify any deficiencies or potential failures. Buyers will be informed of problems. We’ll also provide maintenance tips and pertinent information to protect their investment. Sellers will be made aware of all deficiencies which must be disclosed to potential buyers. We will make recommendations for repairs that may enhance the marketability of their home. Our complete inspection services include flexible scheduling, detailed reports with photos, home maintenance inspections, listing inspections, on-site reports, radon testing & mitigation, and well and septic inspections. Whether you are a buyer or a seller, let us provide you with the assurance and peace of mind that your home has been thoroughly evaluated for safety, structural, and mechanical soundness. Buy or sell your home with confidence! Looking for well and septic inspections? Need some water testing done? Or maybe you’re looking to get your well pump replaced? Find out how else U.S. Water, LLC can help you by clicking here. Ask about our discount when you order an inspection!